Two pairs of screw terminals are positioned on the top of the board. One is for bringing an external power supply; the other is for connecting a motor. TB6549FG has four operating modes: clockwise, counter-clockwise, short brake and stop. The operating mode is configured through IN1 and IN2 pins. A separately controlled standby mode is also available. For safety, the TB6549FG IC incorporates overcurrent protetciont and a thermal shutdown circuit. 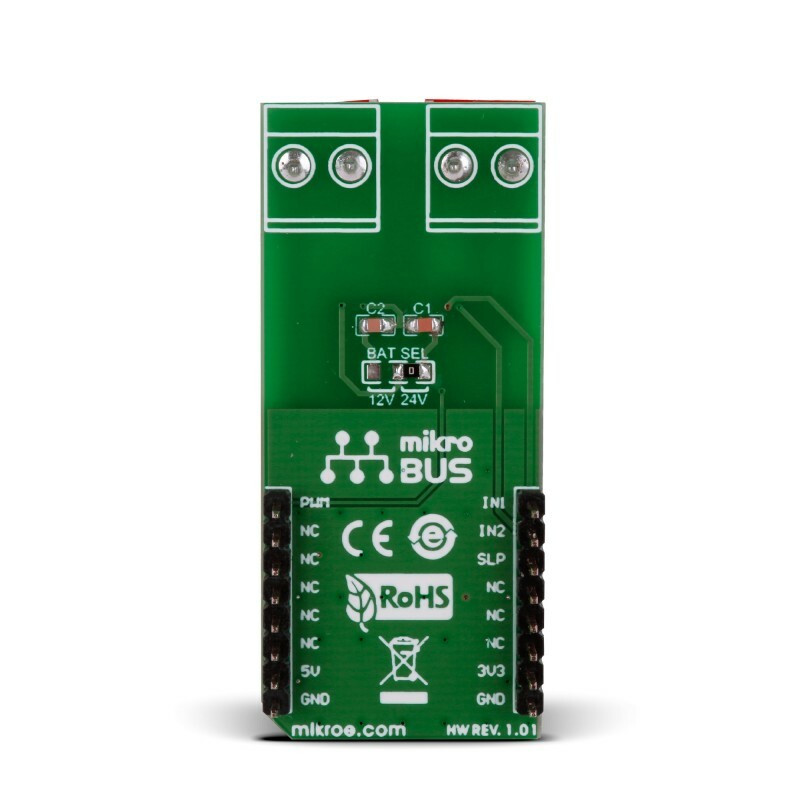 The click communicates with the target MCU through the mikroBUS™ PWM pin, with additional functionality provided by IN1, IN2 and SLP pins (in place of default mikroBUS™ AN, RST and CS pins). Designed to use a 3.3 power supply only. 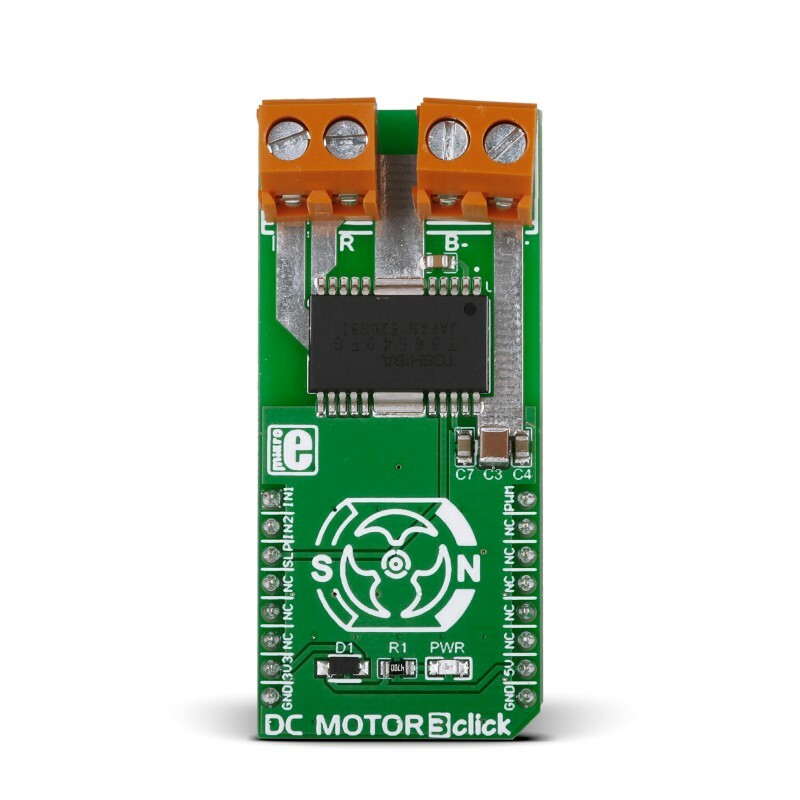 DC Motor 3 click is a mikroBUS™ add-on board with a Toshiba TB6549FG full-bridge driver for direct current motors. 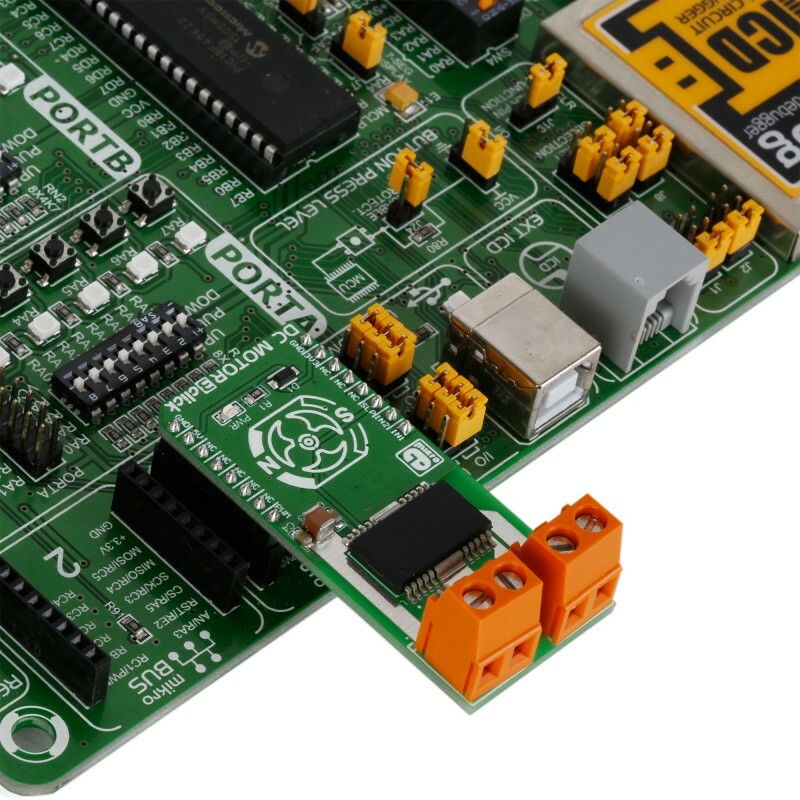 The IC is capable of outputting currents of up to 4.5 A with 30V, making it suitable for high-power motors. This example shows how to setup the DC Motor 3 on ARM, and use buttons to turn the motor, as well as speed up or slow down the motor.